Canada and cowboys go together like maple syrup and bacon and grizzly bears and wild salmon. 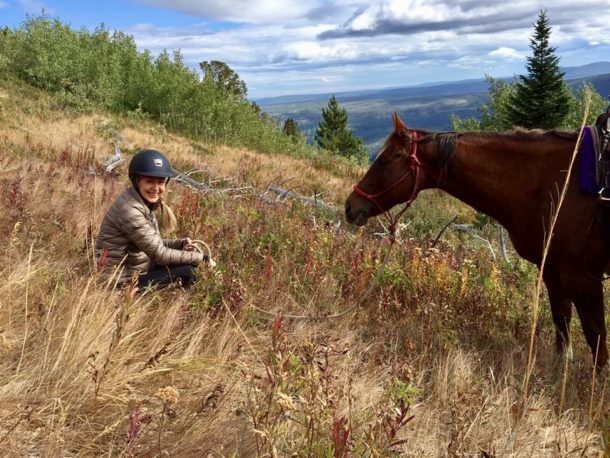 It’s easy to fall in love with this happy-go-lucky country and to explore it from the back of a horse is the icing on the cake. 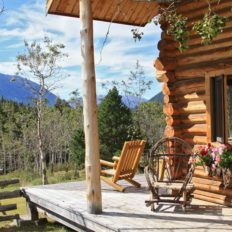 Guests take a one hour flight north from Vancouver to reach this exclusive, mountain lodge that sits beside the wild Chilko River that is the life force to this remote region of British Columbia. 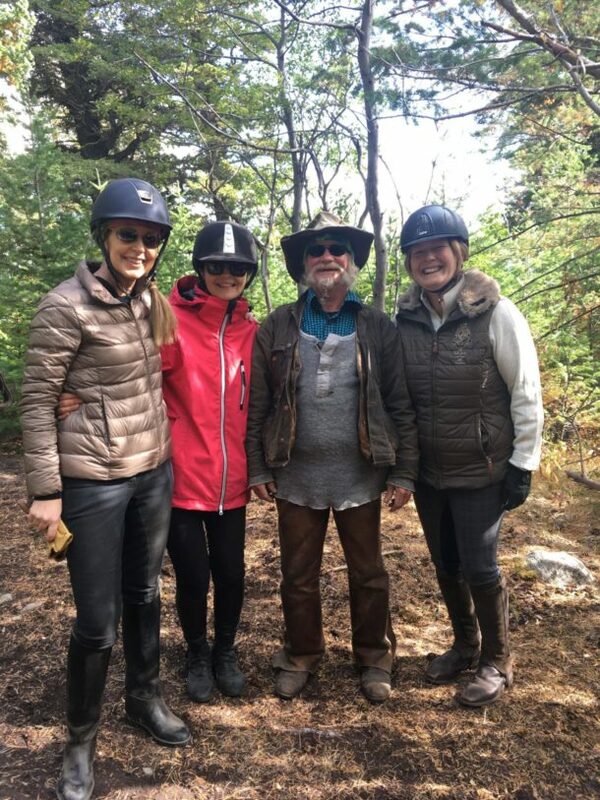 A family owned lodge, guests feel instantly at home with the sweet-as-maple-syrup hosts and guides, cosy log cabins, intelligent horses and breath-taking surrounds. 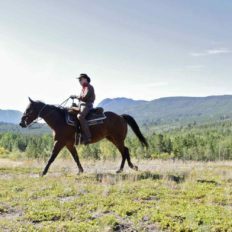 With the 7 night lodge riding package, no two days are the same, with thousands upon thousands of pristine Alpine forest to explore every day brings a new adventure from the back of your horse. Each season has its own X-factor from spring with the blossoming of the wild flowers that carpet the mountains and river flats to Autumn where the trees burn bright with amber and the wild salmon run. 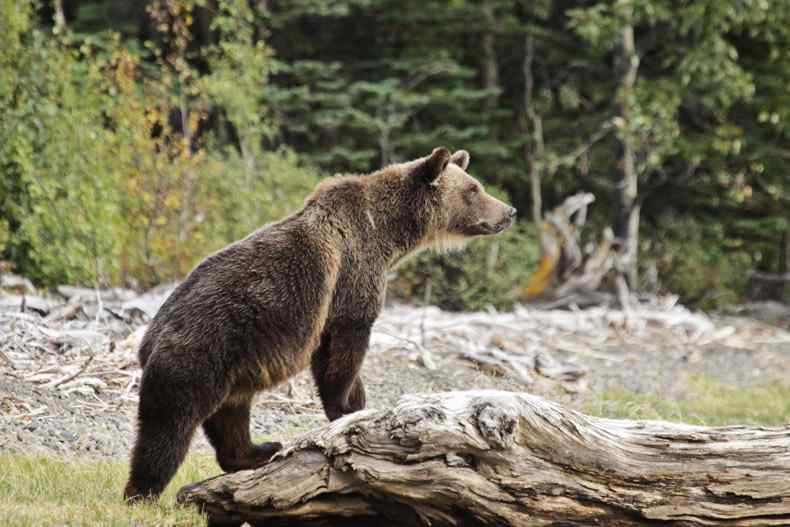 Not to forget the Grizzly Bears that roam these parts, they’re a tourist attraction in their own rite! Throughout the riding week the rides get progressively longer to challenge riding guests and to fulfil their need for speed. 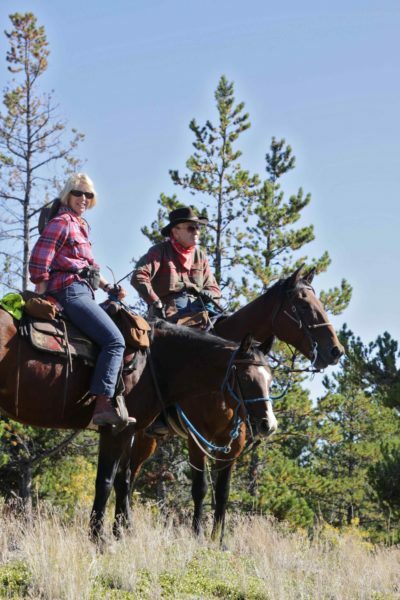 Not only is the riding first class but when guests are out of the saddle they have the option to perch at the bar and sample some Canadian lager, kayak up the river for some grizzly bear spotting, soak in the hot tub on the deck or try their hand at fly fishing. The photo opportunities are some of the best in the world, amidst rugged glaciers, mountain meadows, alpine flowers, crystal clear lakes, streams and wildlife. The vistas and settings are too beautiful to put into words. This is a sacred part of the world that must be put on your globetrotting bucket list. Horse Breed:A mixture of many different breeds (Quarter Horse, Arabian, Appaloosa, paint, draft and Thoroughbred). 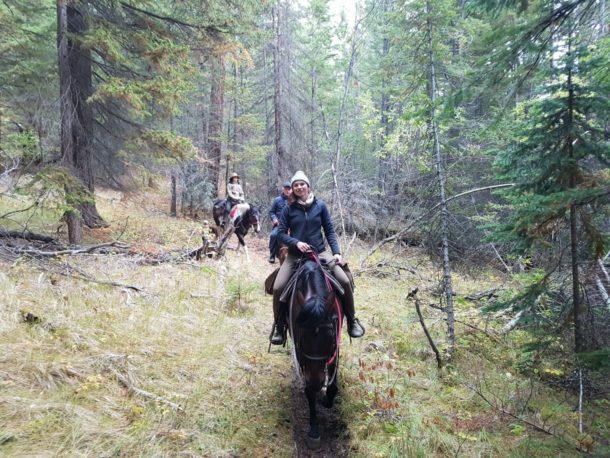 Pace:LODGE RIDE: Variable depending on terrain with opportunities to trot and canter; PACK TRIP: The majority of the ride will be spent at a walking pace. Seasons:Spring (June) Summer (July, August) Autumn (September, October). Group size:A minimum of 4 and a maximum of 10 guests. 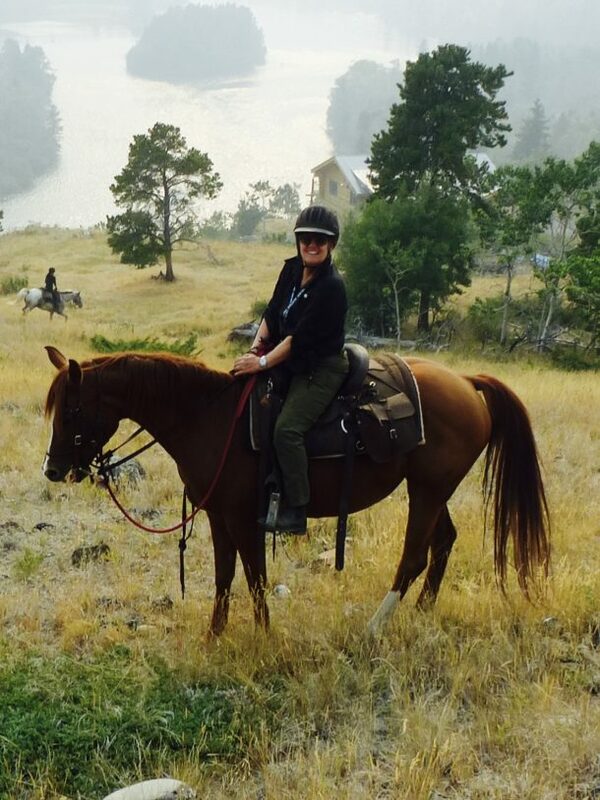 Time in Saddle:LODGE RIDE: On average 4 to 6 hours per day. PACK TRIP: Anywhere from 4 to 8 hours each day. 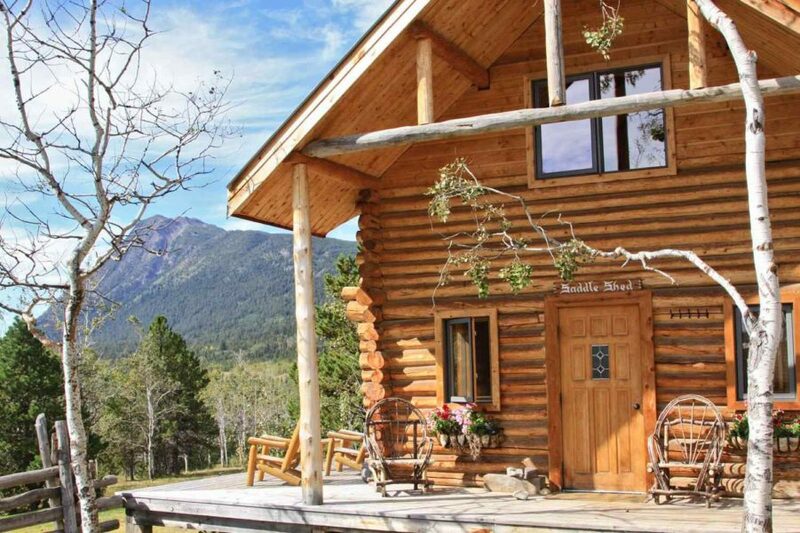 Accommodation:LODGE RIDE: Log cabins or suites. Each unit is set up for two people and offer private bathrooms, comfy beds with Egyptian cotton sheets and duvets, gas fireplaces or a wood burning stove, their own decks and seating areas. Daily maid services keep you supplied with fresh towels. PACK TRIP: All camping in 2-person North Face or Mountain Hardware tents with a comfortable sleeping mat. 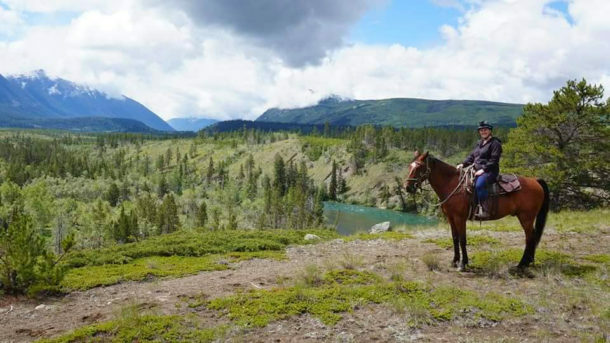 Inclusions:The price includes round-trip regional flight from Vancouver to Chilko Lake, all meals (wine with dinner), accommodation, riding and a 2.5% GST tax. Exclusions:The price excludes international flights, travel insurance (compulsory), staff tips, beverages from the bar, fishing license and extra activities. 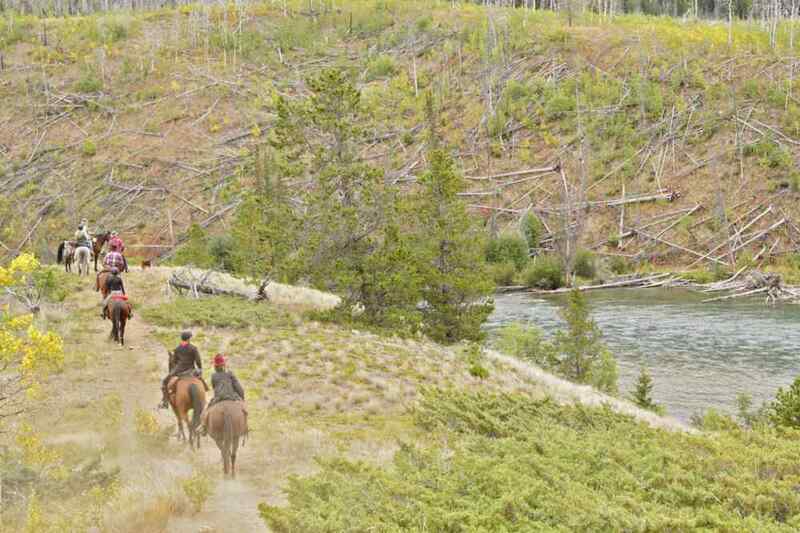 All lodge rides are from Sunday to Sunday. 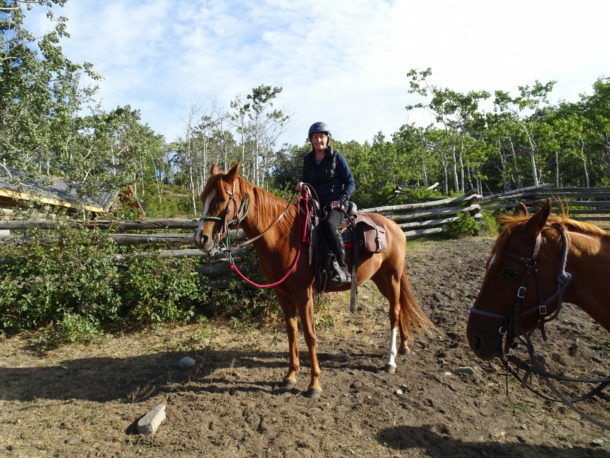 The riding season starts from June 16, 2019 to October 13, 2019. WHAT IS INCLUDED IN THE RIDE PRICE? 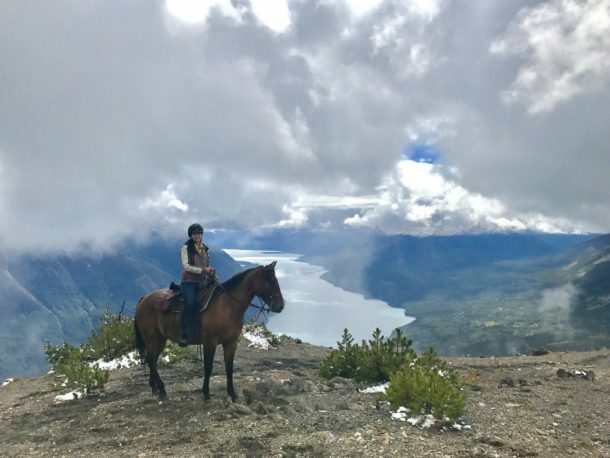 The price includes round-trip regional flight from Vancouver to Chilko Lake, all meals (wine with dinner), accommodation, riding and a 2.5% GST tax. WHAT IS NOT INCLUDED IN THE RIDE PRICE? The price excludes international flights, travel insurance (compulsory), staff tips, beverages from the bar, fishing license and extra activities. 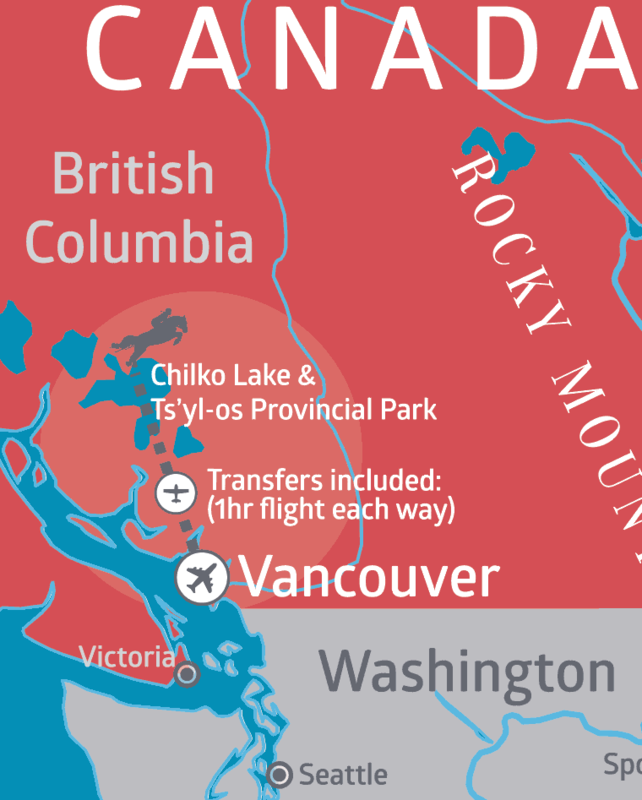 On Sunday morning your adventure begins with a flight from Vancouver over the Coast Mountains and British Columbia. 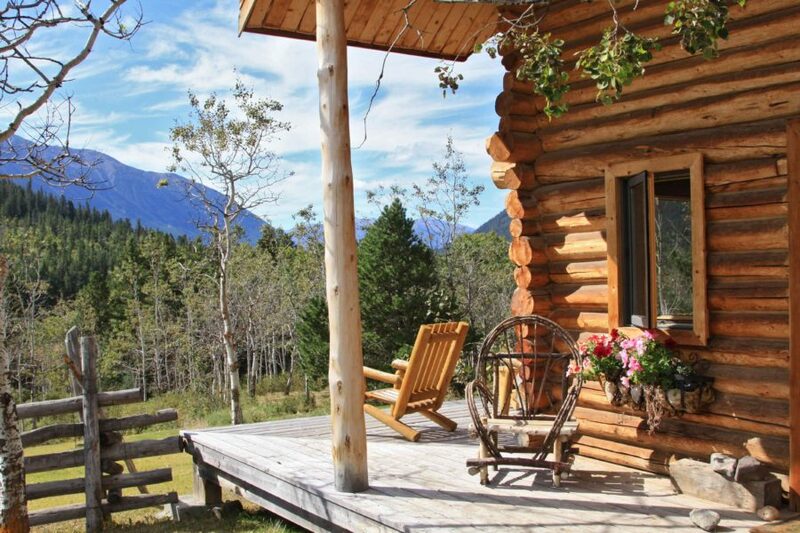 Guests will arrive at Chilko Lake and this exclusive lodge in time for a tasty lunch and a cold drink. After lunch guests are asked to gather on the deck to go over the week ahead. 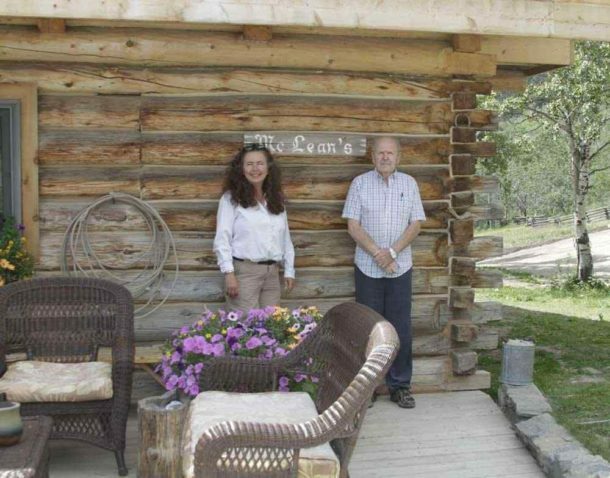 Your hosts the McLean family will show you your cabin and once everyone is ready guests head to the barn to be introduced to their horse, given safety tips for the trail, saddling techniques and western riding instructions. After the introductory presentation, guests head out for an afternoon ride. 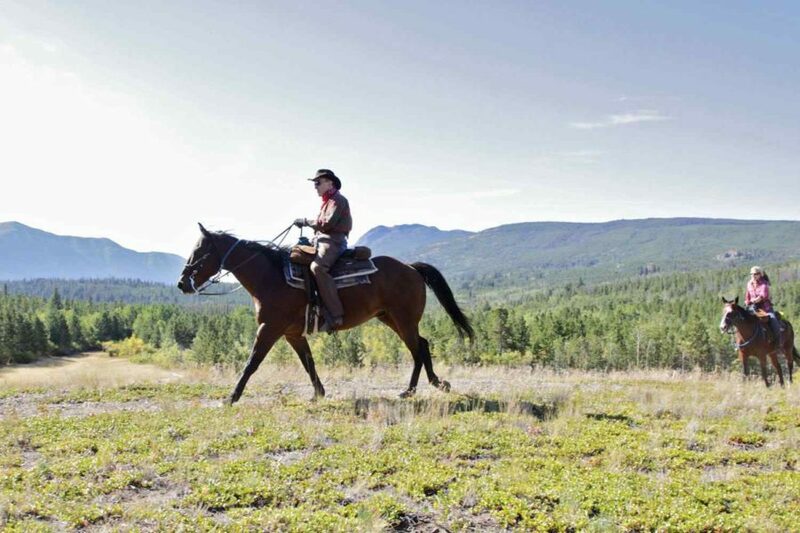 The ride is to make sure that you and your horse and saddle are a great fit for the week. 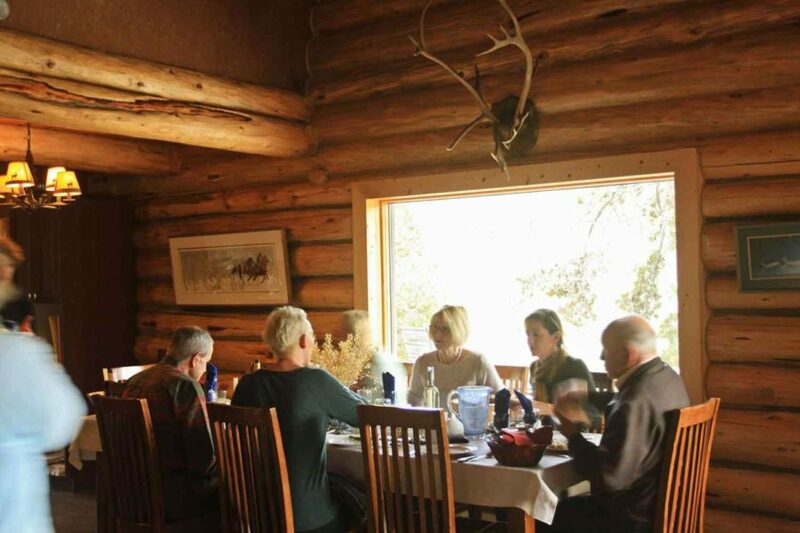 Guests return to the lodge in time for a cold drink and a delicious dinner. 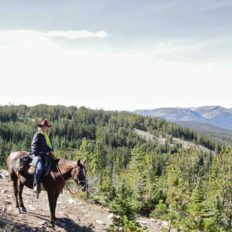 Full day’s ride out from the lodge to explore the Ts’ylos Provincial Park. 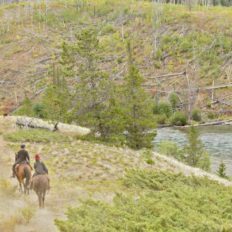 The rides start to speed up with more canters along open meadows and Chilko River. 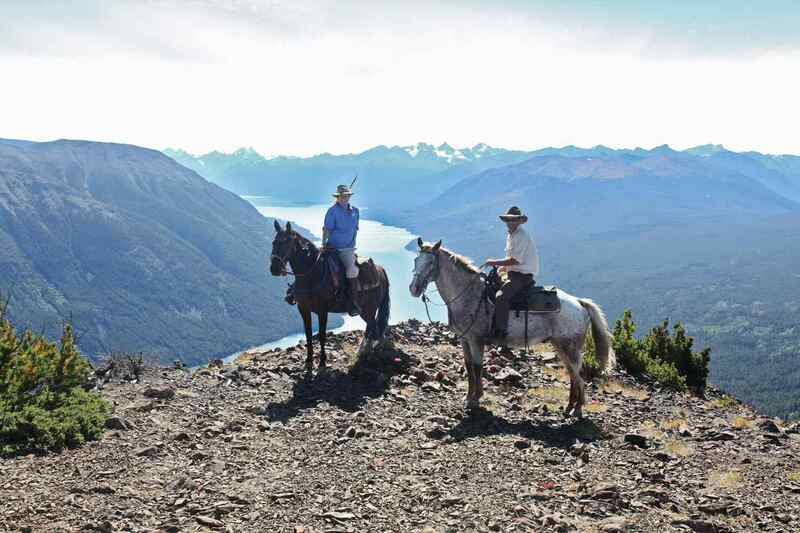 A beautiful riding day to the summit of Mt Tulin with breathtaking 360 degree views of the Coast Mountains and Chilcotin Plateau. 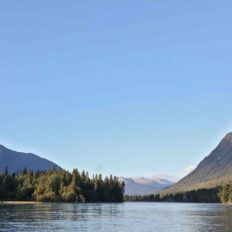 You will enjoy a scenic boat tour up Chilko Lake to experience the untouched beauty of the area. 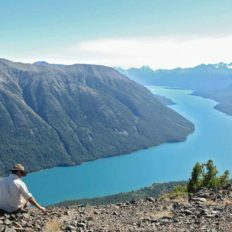 Chilko Lake is surrounded by magnificent mountain peaks, pristine forests, ice fields, and is fed by dozens of glacial creeks, giving it her vibrant, turquoise colour. 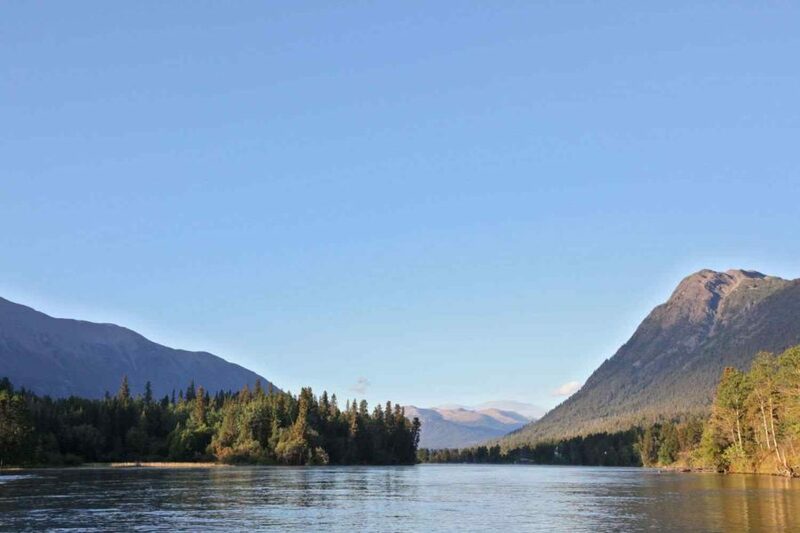 A day on the Chilko Lake is not to be missed! (A rest day for the horses after a long summit the previous day). 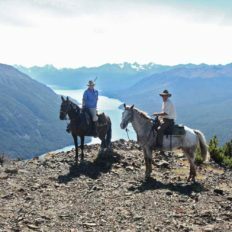 Today guests enjoy long picturesque canters along the ridge of Chilko River with spectacular views of the Chilko Valley. 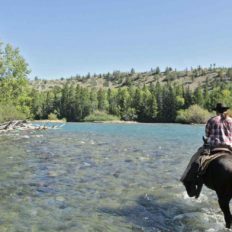 At the end of the ride guests un-tack the horses on the shores of Chilko River and release them for a refreshing swim across the river back to the lodge. Riders are transferred back to the lodge by boat. 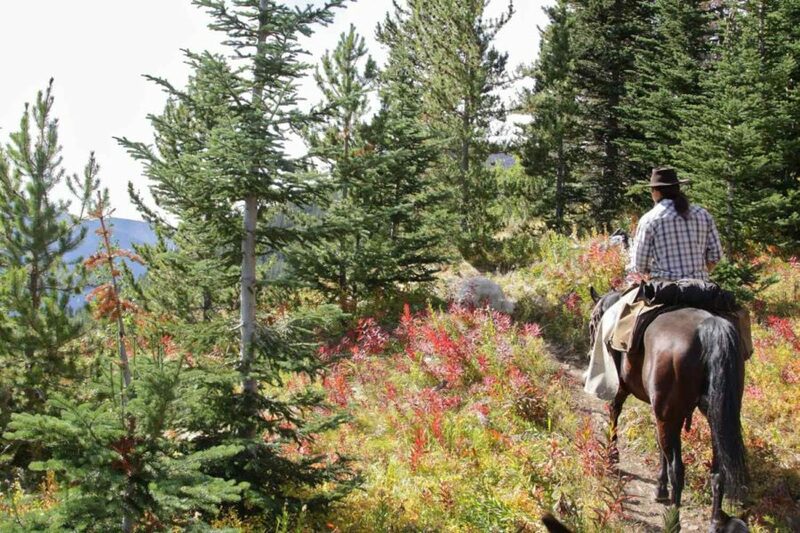 *With so many trails and places to visit it is impossible to list them all. 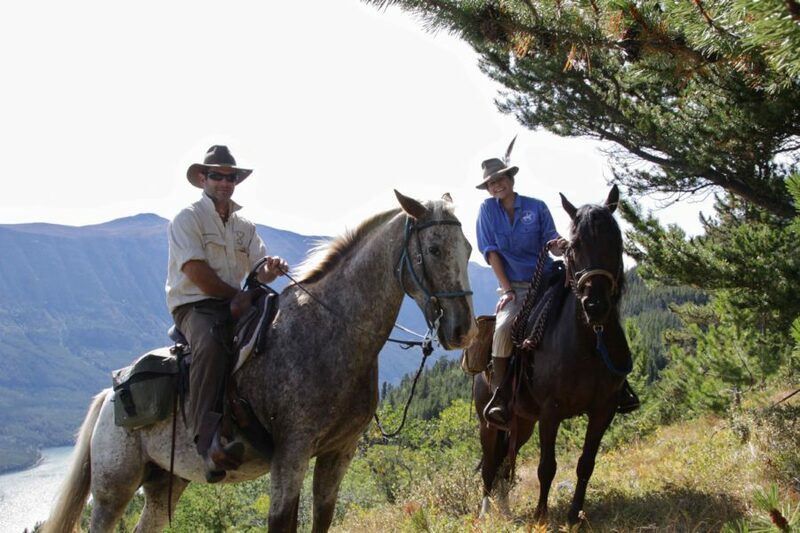 This is just a sample itinerary of what is possible when taking our lodge riding vacation. All day rides are subject to change with so many variations and possibilities or due to weather. On Sunday morning your adventure begins as you fly from Vancouver over the Coast Mountains and British Columbia. 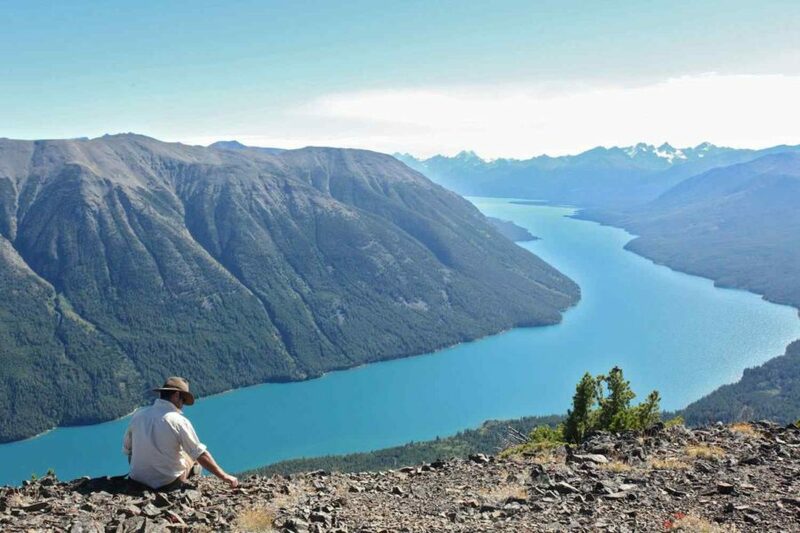 You will arrive at Chilko Lake and the mountain lodge in time for a tasty lunch and a cool drink. After lunch you’ll gather on the deck and go over the week ahead. You’ll be set up with your equipment, tent, duffel bag, sleeping pad, saddle bags and your trusted cup. 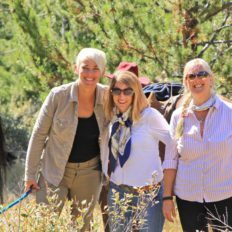 Once your tent is set up and everyone is ready you’ll head to the barn to be introduced to your horse, safety tips for the trail, saddling tips, western riding instructions. Once the introductory talk has finished you’ll go for an afternoon ride. 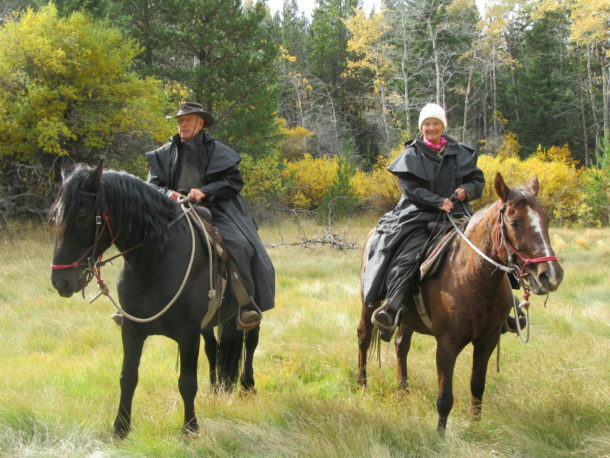 The ride is mainly to make sure that you and your horse and saddle are a great fit for the week. 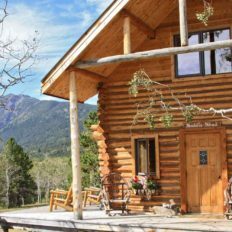 You’ll be back at the lodge in time for a cold drink and a delicious dinner. Today we pack all our gear into our boat that meets us at our first camp. 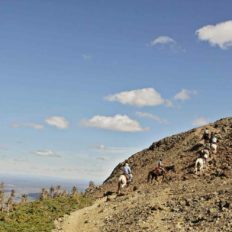 We set out early and pony our pack horses along the shores of Chilko Lake through ancient pristine Fir forests. We make camp at the Lagoon and take a much needed swim in the warmer waters of the lagoon. 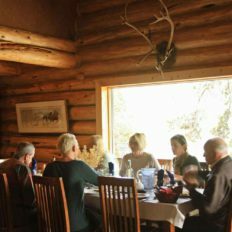 After this we sit down to a wonderful meal prepared over an open fire while taking in a breathtaking Chilko sunset. Today is the longest ride of the trip (around 8 hours). 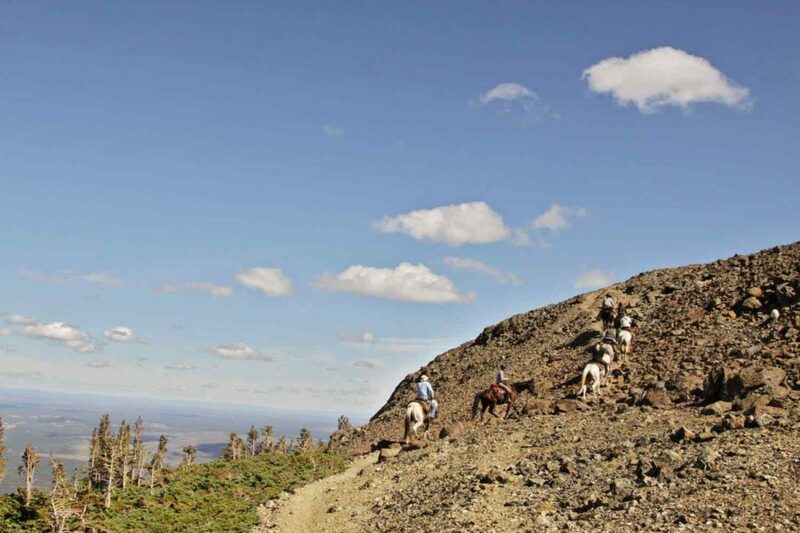 We pack up the horses and we climb up to our base camp at 6,500 feet. Once in camp a short walk takes you to your backyard, a place so captivating there fails to be a word to express it. It has to be seen to be believed. At base camp we spend the next three nights. 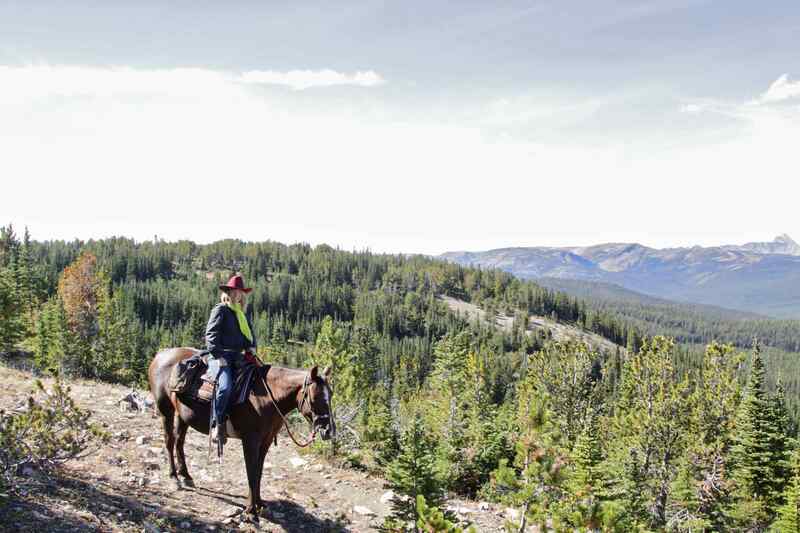 The next few days are spent riding out and exploring the awesome and rugged beauty of Goat Camp. 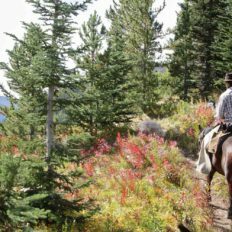 This trip offers plenty of time to relax, hike, photograph wildflowers, and wildlife. Mountain Goat, Mule Deer, Bear, and Mountain Marmots make their home here. Goat Camp is one of the most beautiful places on the planet. 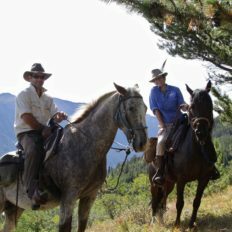 After exploring by horseback the many mountain peaks and valleys, you return to base camp in time to enjoy a glass of wine and watch the stars come out over the valley. 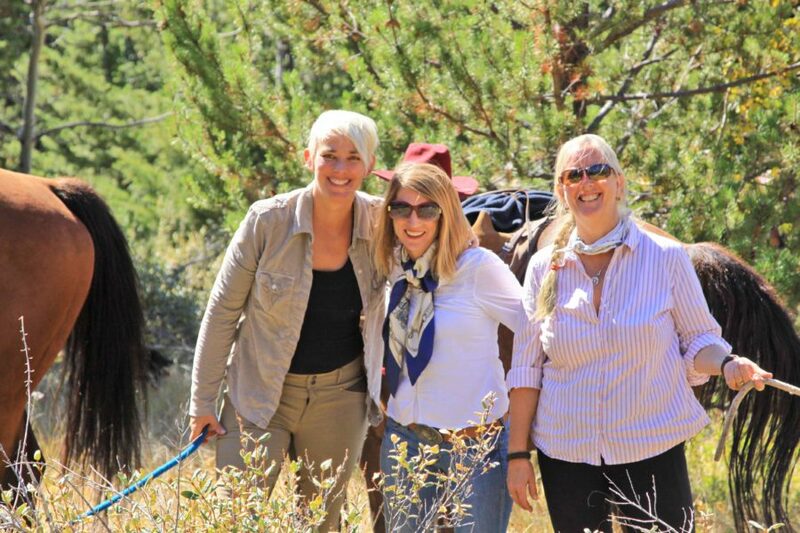 We pack up the horses and say goodbye to our base camp. 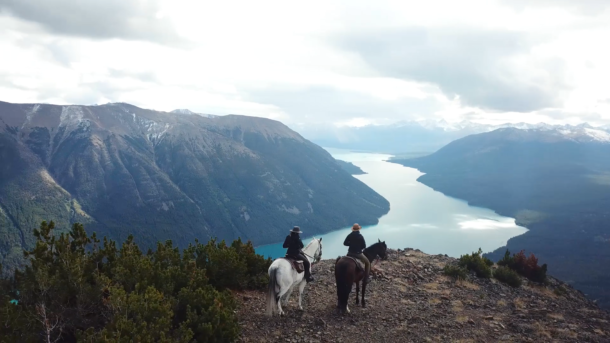 We travel back down to Chilko Lake and return to the Lagoon camp. 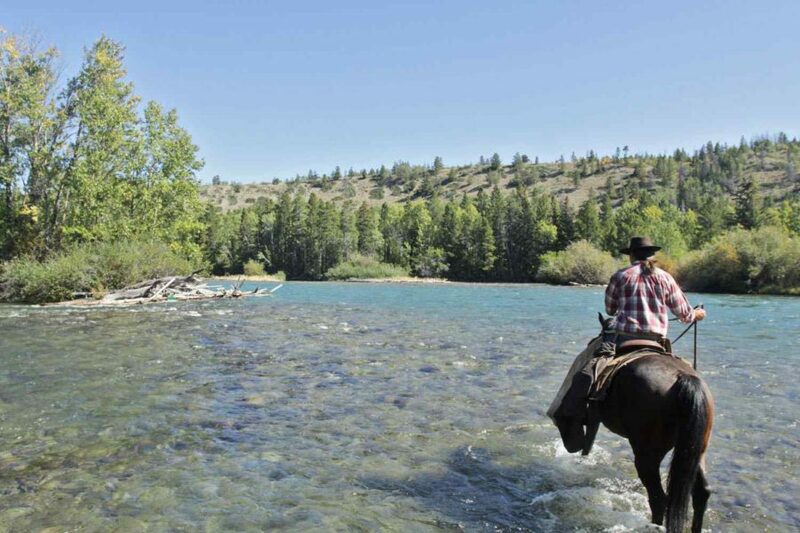 On our last day we head back to the lodge along the Chilko River. 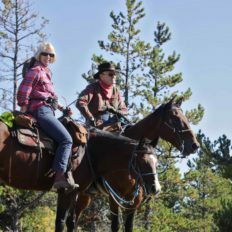 We set up camp a final time and enjoy a delicious BBQ dinner, a relaxing soak in the hot tub, and a cold drink back at the lodge. Wake up to a hearty breakfast at the lodge. Pack up all personal items and board the returning flight back to Vancouver (around 9:00 am). We recommend arriving in Vancouver 1-2 days prior to your ride to recover from jet lag. 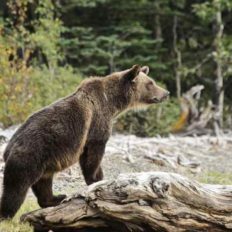 Your flight to Chilko departs around 9.30am on day one, and you will return to Vancouver around 1pm on the final day. Please don’t make connecting flights home from Vancouver until after 3.30pm. *Please note, there is a strict luggage limit of 18kg maximum per person on this regional flight. Soft luggage only, no hard suitcases please.